Cairo, Egypt - 1 person likes this. Want to see two of Egypt's most important archaeological treasures? Then check out a Memphis and Sakkara Private Tour in Cairo, Egypt. 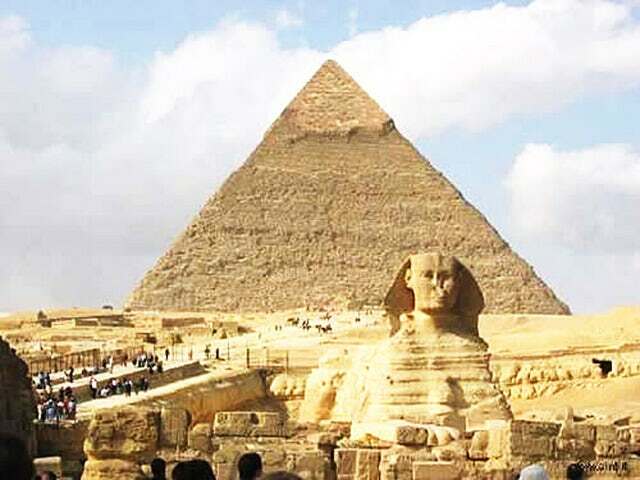 On this tour visitors will see the Step Pyramid, the oldest pyramid in Egypt and legendary city of Menes. Visit two of the must-see places of the entire globe with Memphis and Sakkara Private Tour and experience a most fulfilling visit in Egypt. With two of the most important archeological sites in Egypt, Sakkara being the home of the oldest pyramid and Memphis, the former capital of Egypt founded way back in 3,100 BC, you’ll get to learn history in a fun and exciting adventure. Only with Memphis and Sakkara Private Tour will guide and inform you fully with these 2 archeological treasures of Egypt. Learn the history of Memphis, the legendary city of Menes, the king who united upper and lower Egypt. Get to see up close the Pyramids of Giza in Sakkara, home of Egypt’s oldest pyramid. Admire at the well preserved beauty and architecture of the pyramids. Memphis and Sakkara Private Tour will pick you up and drop you off from your assigned accommodation. The duration of the tour is mostly up to you being a private tour that it is; you can fully enjoy visiting sights and taking pictures. Also, with a friendly and informative guide, it makes the private tour even more fun and memorable. Call us now and get to see for yourself the famous pyramids and the legendary city with Memphis and Sakkara Private Tour!